Kale planted Jan 4th growing nicely as of 1/23. Side view of Carrots. 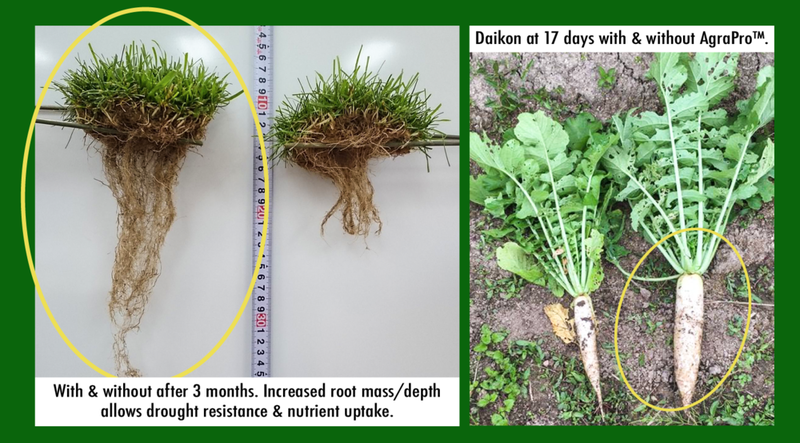 Better leaf growth and also root development! Top view of Carrots - harder to see the bushier AgraPro leaves, although the deeper green (more chlorophyll = more photosynthesis = more sugars and fruit growth and better carbon sequestration for perennials) is noticeable! Spinach also still early, but AgraPro growing better than Control.